Nicole here today! Quite often when we look at our ink sprays we think more mixed media. 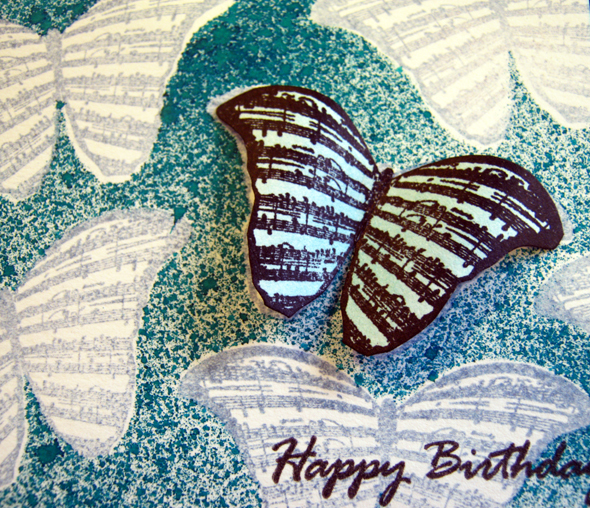 I love using my sprays on cards and here I will show you one way to do this. 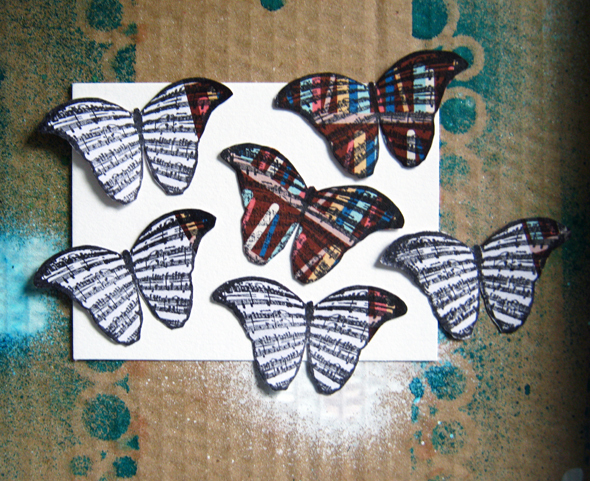 I stamped the butterflies on scrap paper and cut them out. Make sure your scrap paper is thin or else they wont work very well as masks. Place them on your panel (I used white). Place in a safe place to spray – I use a mini pizza box from a kit. Spray as heavily as you like. I used turquoise Dylusions spray. When this panel is fully dry mat it onto black card stock. 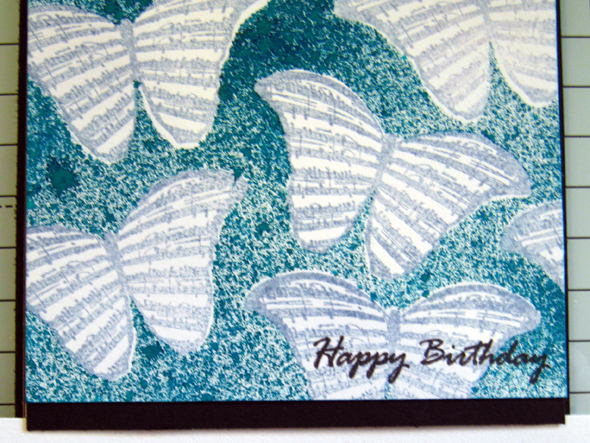 I also stamped the butterflies in a light blue inside the masked off area and stamped a sentiment on the panel too. 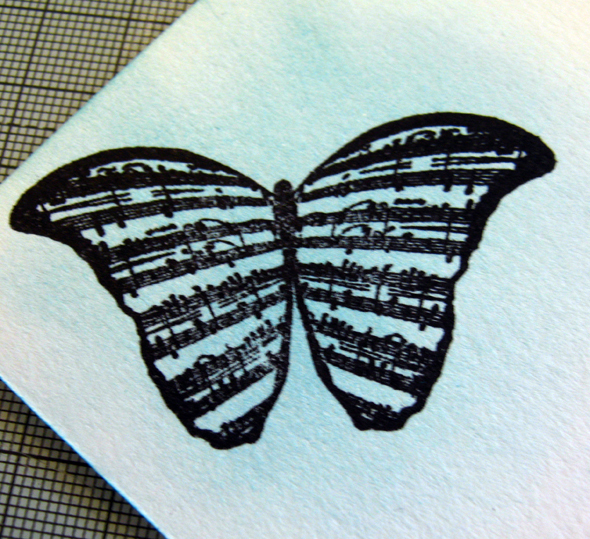 Stamp the butterfly again and ink it lightly for colour. 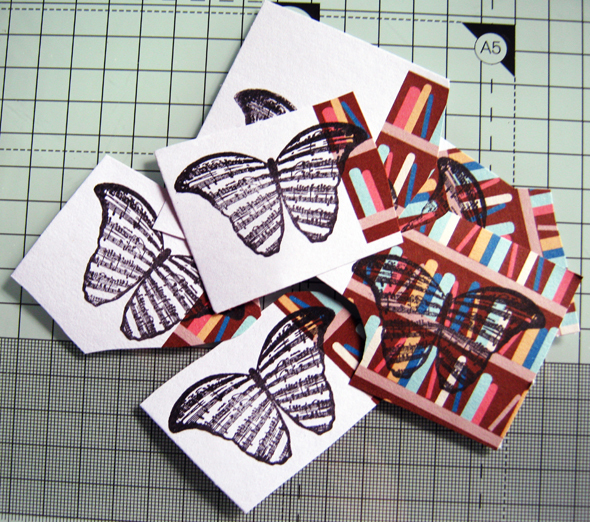 Then cut this out carefully, curl the wings to give some dimension and adhere it onto a butterfly on the panel. Put all your card elements together. 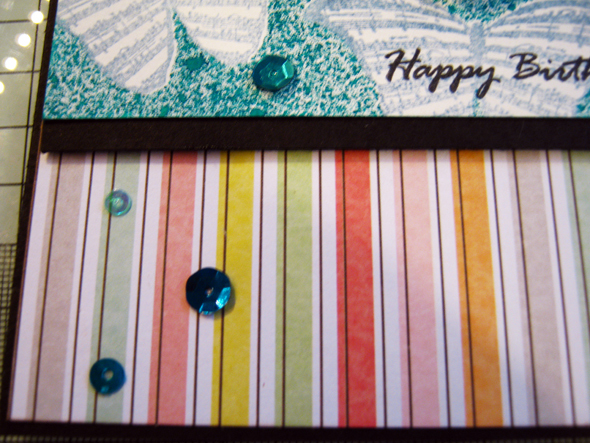 I matted my striped paper onto balack card and then made a pink card base for it. 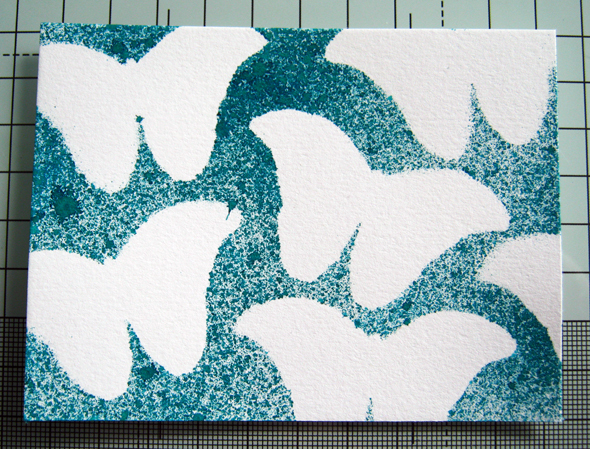 I added some sequins as embellishments, trying to make them ‘flow’ up the card. Here is the completed card. I love the fun effect the masking, spraying and stamping gives on it.